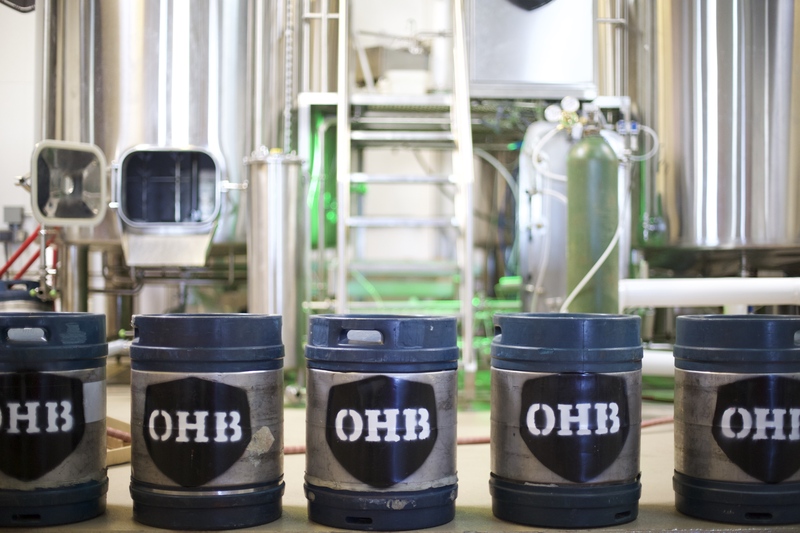 Oak Highlands Brewery has a 2,200-square foot production area with new floors that are sloped to drains. We operate a fully automated 3-vessel, 30-barrel brewhouse that was manufactured in 2015 by Alpha Brewing Operations out of Lincoln, Nebraska. The three brewhouse vessels are a mash mixer/lauter tun, boil kettle, and whirlpool. Our hot liquor and cold liquor tanks are both 60-barrels (1,860 gallons) with the cold maintained at 38 degrees and the hot at 178 degrees. We use steam to heat the brewhouse and a hot liquor tank using a 1.2 million BTU boiler. We have a dual stage heat exchanger for knock out (wort cooling), and five 30-barrel fermenters (930 gallons), two 60-barrel fermenters, two 30-barrel brite tanks, and one 60-barrel brite tank. Our cold liquor, fermenters, and brite tanks are all double insulated and cooled with a 27 horsepower glycol chiller manufactured by G&D Chillers out of Washington. We can our beers using a Cask, 3-head filler Semi-Automated Manual Canning System (SAMS) and keg our beers using both 50L and 1/6 barrel kegs. We age numerous styles of beers in white and red wine barrels, as well as bourbon barrels, and store the aging beer in the temperature controlled taproom for up to eight months. If you find yourself in the taproom while brewers are present, feel free to ask them any questions about the process!